Last of 1990, Shrikant appeared for 42 University Examinations simultaneously each Summer and Winter. Successfully, he got 20 post-graduate degrees before he turned 24. 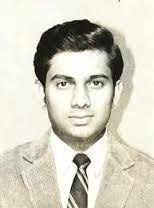 When he turned 25, in year 1978, Shrikant sat for the IPS (Indian Police Service) examination, nailed it, resigned later and started preparing for the prestigious IAS (Indian Administrative Services) examination. Meanwhile, he got himself a Masters in Economics, English Literature, Sanskrit, Indian History, Public administration, Political Science, Sociology. The list also included Masters in Philosophy, Culture & Archaeology, and Psychology; you wouldn’t be surprised to know he also has a D. Litt in Sanskrit to his name, the highest of any Degree in a University. After a successful attempt in 1980, Shrikant resigned from his duty in just four months to contest his first general election. Later in the same year, got elected as MLA in the Maharashtra, becoming the youngest ever politician to hold 14 portfolios at a time. With so much passion and dedication for academics, it would not be a surprise, if I tell you that he owned one of the biggest personal libraries in India with over 52,000 books. 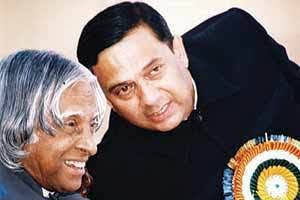 Apart from his passion in academics, Shrikant was an impeccable painter, a professional photographer, a theatre artist, and brilliant orator, who loved to speak on issues like health, economics, and other religious discourses. He was also a member of Rajya Sabha in year s 1992-98. While most of his degrees are with First Merit, he obtained several Gold Medals too. On June 2, 2004, while on his way to NH 6, 40kms from Nagpur, his car was rammed by a truck from the opposite direction, and he succumbed to his injuries later in the day; he was just 51.